At DANIELE de WINTER we have a great pride in our exclusive product range although from time to time we come across products and services that we would like our customers to be aware of. Voila! "Daniele Adores!" is born, on this page we will let you know about products and services we think you will be interested in. 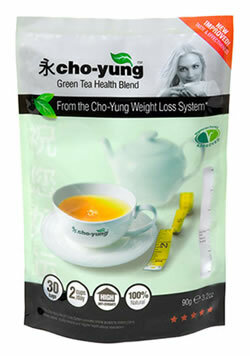 Check out Cho Yung Tea for healthy weight loss. Cho-Yung Tea is a revolutionary weight loss solution that is helping thousands of Women lose excess weight, quickly and healthily. You may have seen it in the Press recently with Penny Lancaster saying great things about it. Here’s what it’s about - drink 2 cups a day, it’s 100% natural –it’s high in natural anti-oxidants, so no extreme exercise is needed, great! Just eat sensibly and take light exercise. And if you're already dieting to lose weight, drinking Cho-Yung Tea can help increase your weight loss by as much as 50%! Among the 100% natural ingredients Cho Yung Tea contains lotus leaf to optimise digestion, Cassia seeds to support the internal organs. One other key ingredient is Gynostemma Pentaphyllum (also known as Jiaogulan). It has powerful anti-oxidant properties, and is often referred to as 'the immortality herb', as users can often live to a very old age.